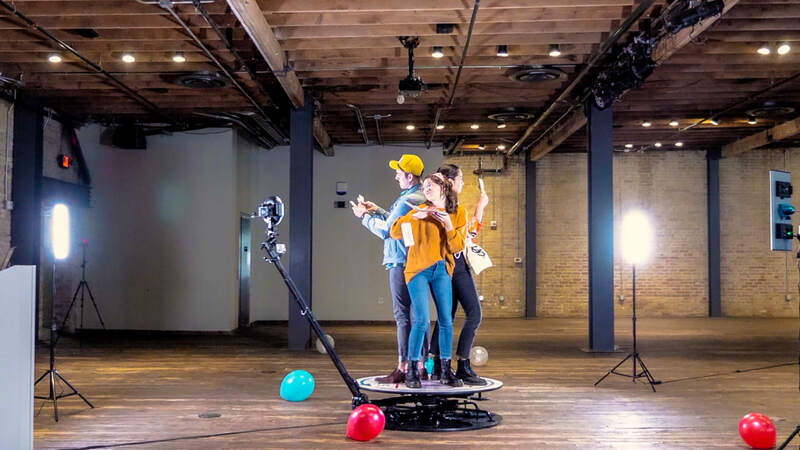 Engage with your guests on a whole new level with our immersive Studio360 Video Experience. Promote your events surrounding action while your guests capture their “bullet-time” trip into this one of a kind experience. 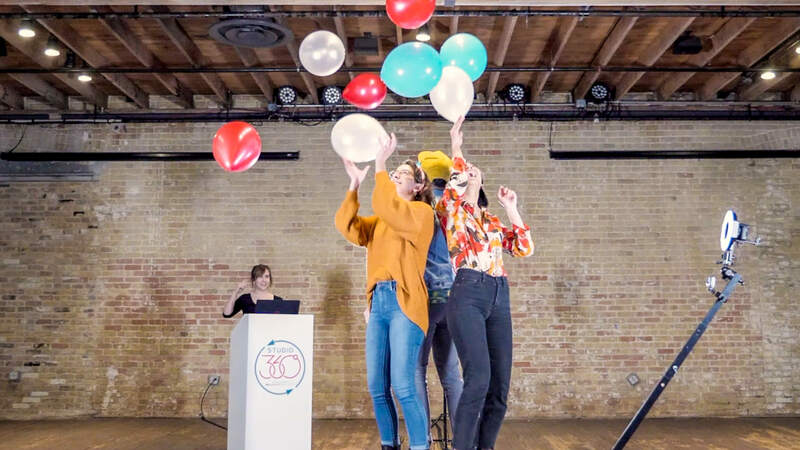 Slow-Motion Enabled with optional; graphic overlays, curated music, branded “outtro” videos, super speed motion, boomerang effects can really set your activation apart from the “average event”. Unlock your inner celebrity with unlimited “360 Sessions” during the entirety of your scheduled experience. From start to finish, each “360 Session” averages around 90-120 seconds to produce. 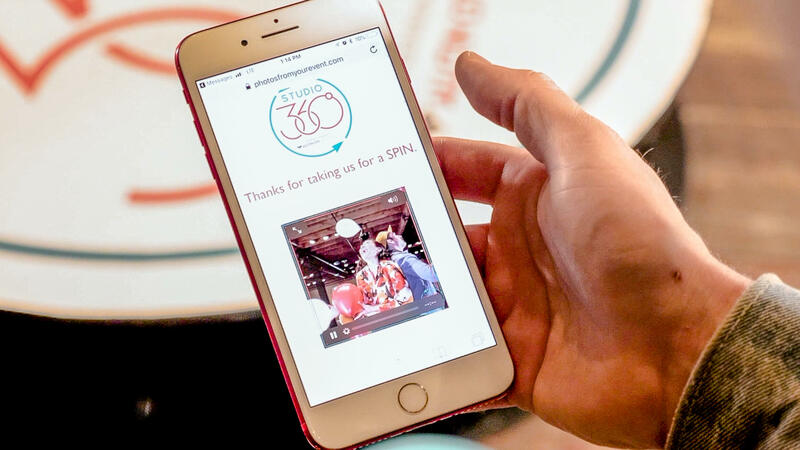 Allow us to produce your guests Studio360 Experience which can include a multitude of custom features and options to give your event a specific output and feel. 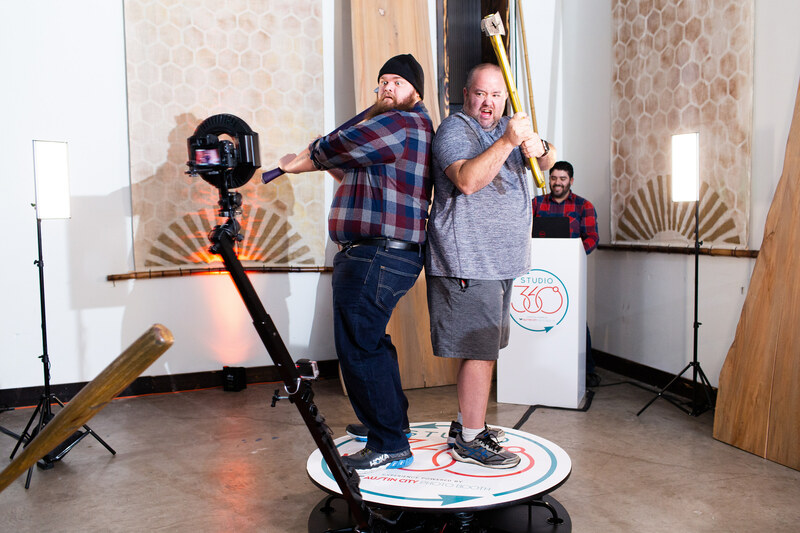 Our patented 360 Degree Platform has been built for portability, durability and simplicity in mind. 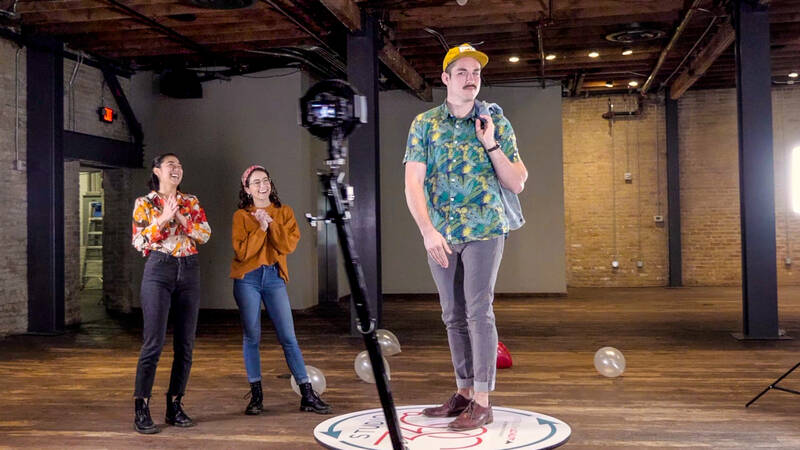 The average space required for our set up is a flat and level 15x15 foot square area which will include space for our studio tri- lighting system to help illuminate your guests for the most optimal video output. *On-site wifi required for immediate social sharing. 2012-2017 © Austin City Photo Booth | All rights reserved.